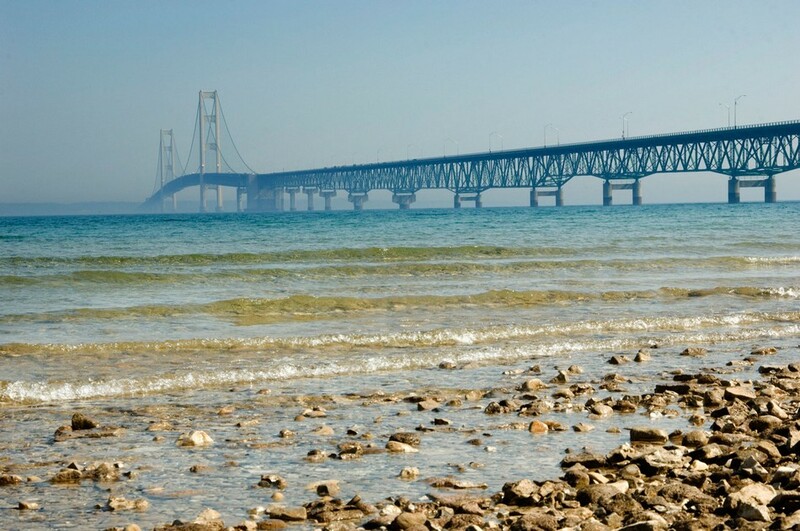 The Mackinac Bridge connects the Upper and Lower Peninsulas of Michigan, and divides Lake Huron and Lake Michigan. It is 26,372 feet long total, with the suspension bridge portion (including anchorages) spanning 8,614 feet. That makes it the longest suspension bridge in the western hemisphere. Experience breathtaking views of the Mackinac Bridge on our guided kayak and stand up paddleboard tours.